Mother nature has turned up the temperature today, I think it was about 33 degrees. I adore spring, it’s my favouite time of the year. The weather is warm, everything grows (including these boys of ours), I come out of hibernation finally, and feel active and motivated. 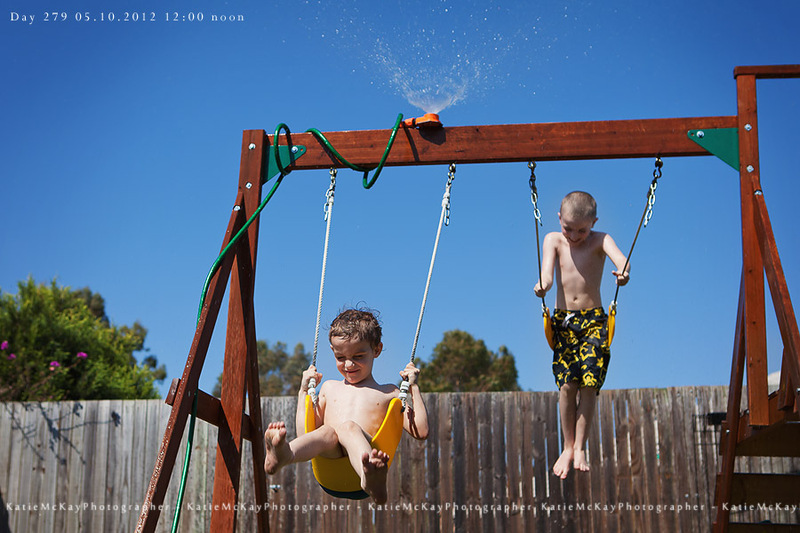 One of the best things about spring and summer is watching the boys play in the sprinkler. We have a tank that is mostly for the garden, so the boys have a pretty good water supply for play. 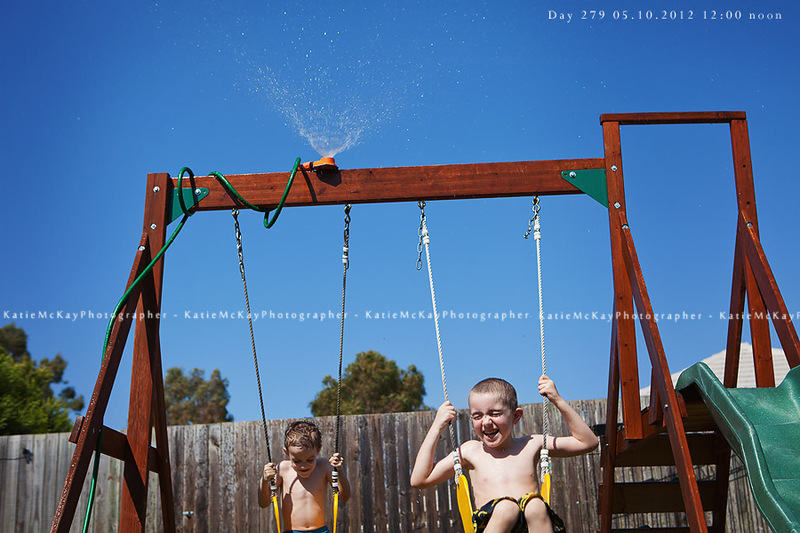 I’m suprised it’s taken them this long to work out how to anchor the sprinkler to the top of the swingset. Katie, these are so bright and so much fun. They just scream SUMMER!!! or Aussie spring in this case. Love them (as always!!!) and love the squished up happy faces of your boys.